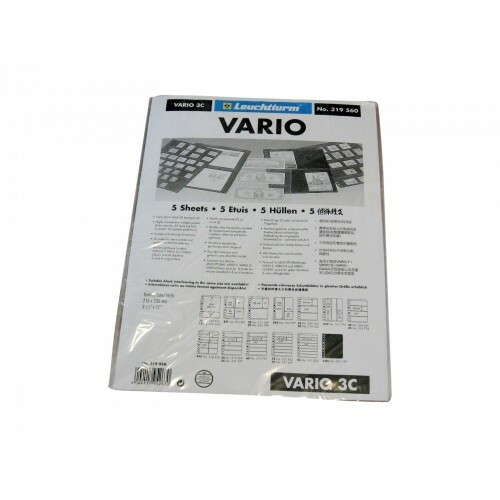 Pack of 5 Lighthouse Vario 3 Pocket Clear Stamp Stock Album Pages. 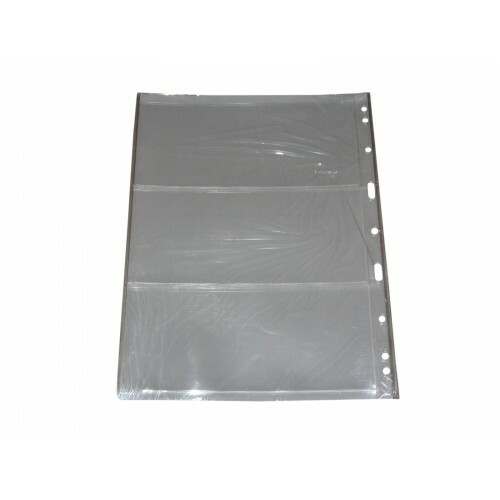 Great for currency / banknotes, tickets, large stamps, and similarly sized paper items. Do you have any questions about 5 Lighthouse Vario 3 Pocket Clear Stamp Stock Album Pages Currency binder sheets?